That’s a big question, one I won’t answer here, though I’ve thought and written about it over my career. Most recently, I was reminded of this question by last month’s 1968: Philly and the World conference (if you missed it, here are the CSPAN videos of the Music, War, and Sports panels). 1968 was a year that shook the world as protests rocked the United States, Mexico, Brazil, France, Italy, Germany, Czechoslovakia, Tokyo, and points in between. By mid-May in France, workers joined student protesters in a nation-wide strike that shut down much of daily life. Factories went silent. Train stations and airports ground to a halt. Garbage piled up. Newspapers went unpublished or were unable to reach their daily readers and television sets went dark as crews joined the strike. Often overlooked was the role of the sports world during the “Events of May,” as the movement is still referred to. Christopher Clarey has an insightful New York Times piece on how the events impacted that year’s Roland Garros, the famed French Open played on the Western outskirts of Paris. But scratch beneath the surface, and you’ll find that the sports world played a much more important role in May 1968 than many people think—one not replicated or as impactful in other countries swept up in the spirit of ’68. I’ll tease out how it was such a seminal year for football – men’s and women’s – in the upcoming months. I’ll also explain May 1968’s impact on basketball, which plays a direct role in explaining why your favorite NBA team is likely more French than you think. 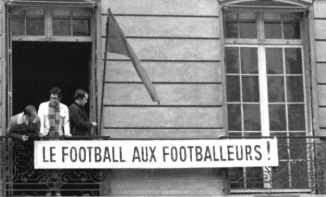 For now, know that 50 years ago, professional footballers went on strike and occupied French Football Federation (FFF) headquarters. They demanded better contracts, which stipulated labor and wage conditions, and fought against what many deemed “slave-like” working conditions – for professional football was then very different business-wise than today with professionals often chained to one team for life. 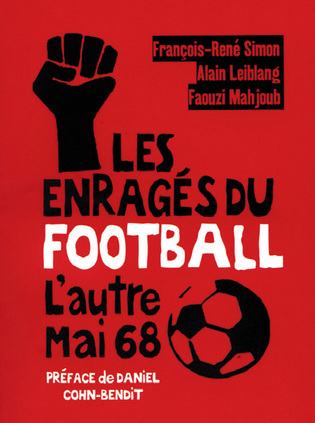 And one of the key proponents for labor justice was the aptly named Just Fontaine, hero of the 1958 World Cup whose record 13-goals-scored during the tournament still stands today.